I discovered a habit of mine the other day and thought that maybe a few readers would find it helpful. I do not trust salt or pepper shakers in restaurants. 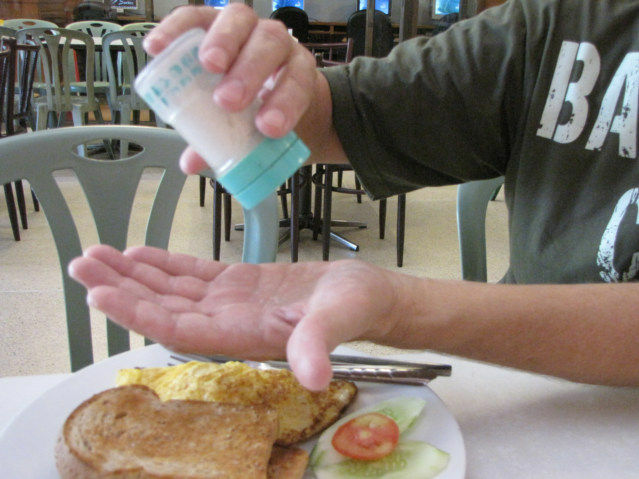 Without thinking, I take the saltshaker and try it in my hand before I try on the food. I am sure readers can tell all sorts of funny stories about salt shakers.